Cherry blossom season this year is so short. I couldn’t enjoy seeing cherry blossoms this year. It started to bloom from April 1st, and now so many flowers already fell. 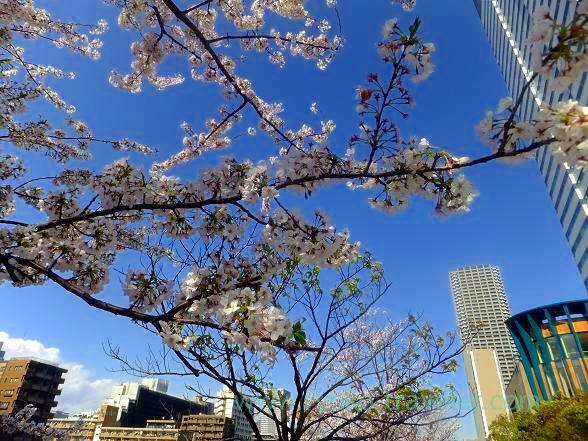 This year, cherry blossoms started to bloom so late in Tokyo. It’s pictures that I took at Harumi Toriton near Kachidoki station last Friday. And today, I took the picture near my house. So many flowers were already fell. 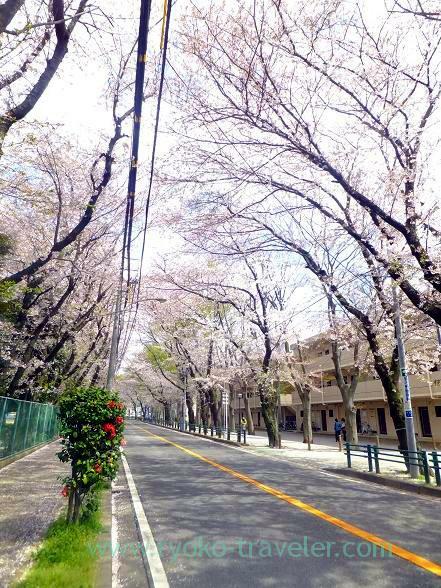 But rain of cherry blossoms fell under me while walking through the street. How romantic ! 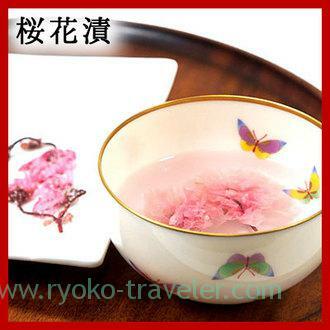 But,,, I wanted to enjoy cherry blossom more, so I had a cherry tea at home. 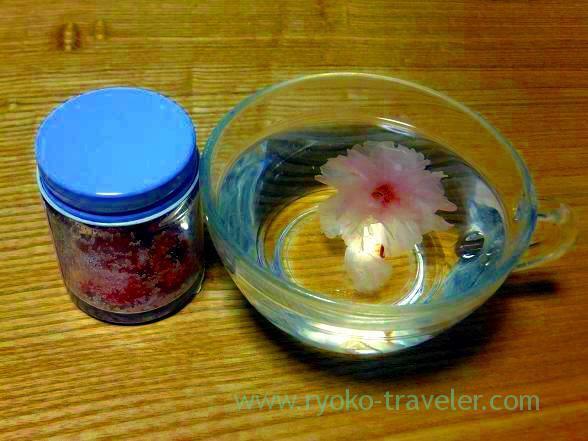 It is named cherry “tea”, but it is pickled cherry blossoms in salt. I took a flower and put into the cup and then pour hot water into the cup. And the cherry blossom was in full bloom in the hot water. Full bloom !!! 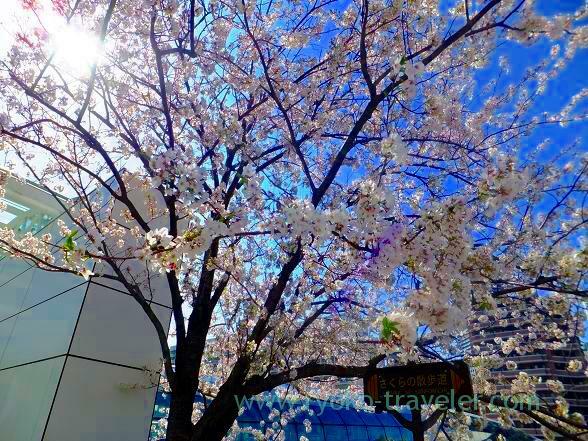 A, Cherry blossoms in Tohoku and Koshinetsu area has started to bloom from now on.